Many people ask for psychic readings online about love or work. Most of them ask an astrologer or a tarot reader because that's the most common. But there are some other pathways to find insight on love and relationships. We will follow one of them now. 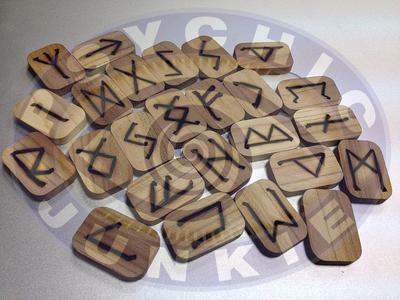 Better known in Celtics countries, rune reading is a widely used, powerful and accurate oracle. But in USA it is a little bit different. This way of fortune telling is not so usual in a country where a lot of people have Latin and African roots. This is a pity because we are talking about of one of the most accurate divination tools ever. Finding answers to you questions about love, romance, and relationships with the rune love oracle can be very good. But how can we answer our questions the most accurate ways? The problem with a lot of other forms of prediction is the fact that they are not so accurate. They may seem to be, but I believe they are not because they give more information than they are supposed to do. For example: If we try to read about our future love situations with the tarot, we pick up some cards and what do we see? Some illustrations on some pieces of paper and the problem here is the fact that the tarot allows our imagination to work too much. When we pick up a tarot card we see a word and we usually make an interpretation of the card based upon our knowledge of the car's meaning, the thoughts, the imagery brings up, and ideas based on what answers we are waiting for. This is why I find the tarot somewhat overstimulating and hence not so accurate. 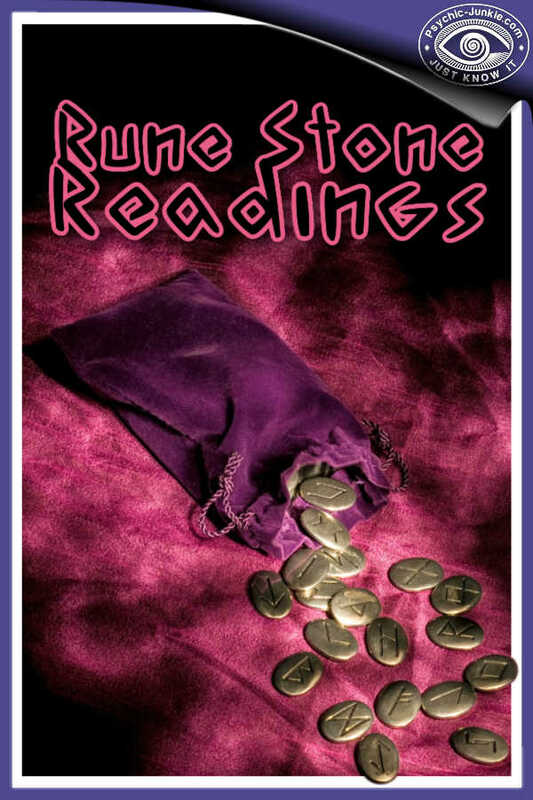 Reading the rune love oracle is a good tool, and very accurate because they are so focused on the answer. The Futhark Alphabet does not leave much to the imagination and this is the secret of a good reading. Because the way I see it, when imagination comes, everything is possible, too possible! First mix the stone well in your rune bag. Then pick out five rune stones. Lay out the five stones in a cross spread. Center Stone - This rune represents the present. Take this rune's meaning and reflect on this as guidance around what is happening in your lovelife in the present time. Left Stone - This rune will represent the past. Take this rune's meaning and reflect on your past and what may have led to the present situation in your lovelife. Right Stone - This rune will represent the future. Take this rune's meaning and reflect upon the direction your lovelife is headed. Top Stone - This rune will represent your aspiration. 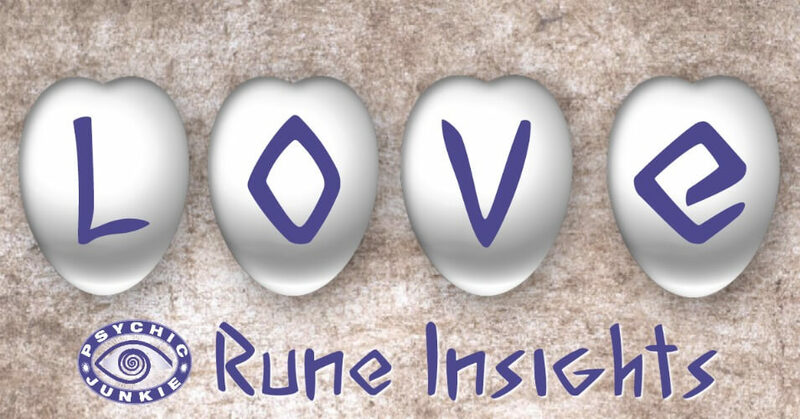 Take this rune's meaning and reflect upon what you are consciously doing to reach your lovelife goal. Bottom Stone - This rune will represent your hidden motivations. Take this rune's meaning and reflect on how your subconscious influences may be driving you on this path of love . If you pull a five stone love reading try to accept the answer as it first appears to you. Try not to create your own answers based on your imagination. This Rune Wiki covers interpretation, spreads and general guidance. With this tutorial you can become an effective rune reader. You will learn how to develop your own unique reading style using a flexible but structured approach. 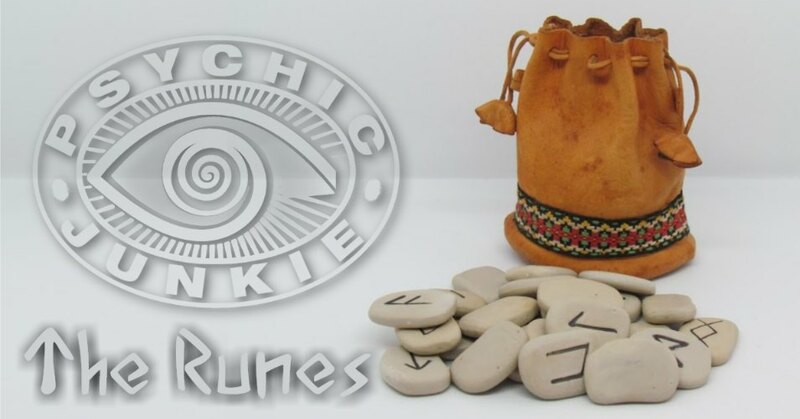 Rune Stone Readings do not address the future, rather the reader assesses cause and effect and indicates a potential outcome. If you are a truth seeker, this “Oracle of Self” must and will serve as its own teacher, eventually divulging meanings of each of the Runes.